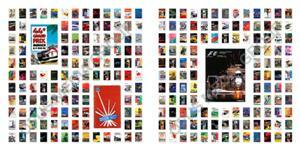 Leading German car magazine auto motor und sport did a feature on how Formula 1 programmes have changed over the years. The magazine article focused on ten covers and the races they represented while the online article had a large gallery and more general write-up. 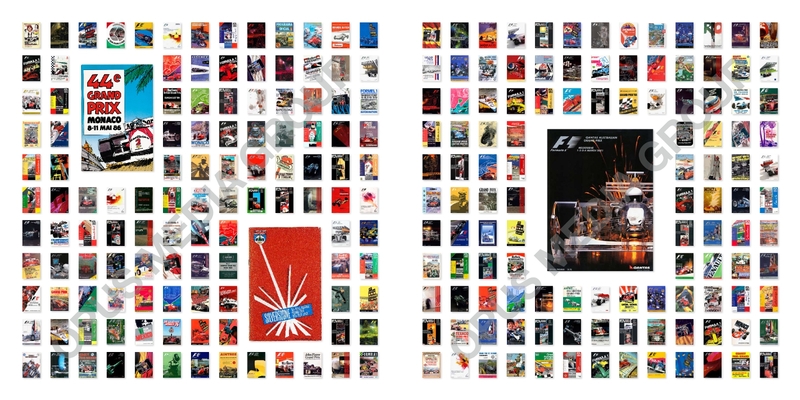 progcovers.com was the source of programme covers for The Official Formula 1 Opus. The Warwick Farm opening event programme cover was used for the 'Looking Back' feature of this local Australian publication. 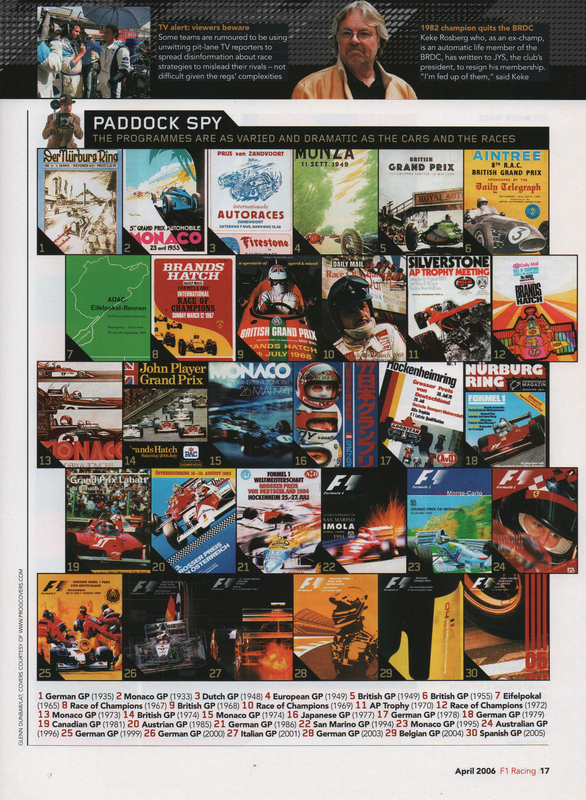 This site was used as the source of covers to form a timeline for the 'Paddock Spy' section of "The world's best selling Grand Prix magazine". 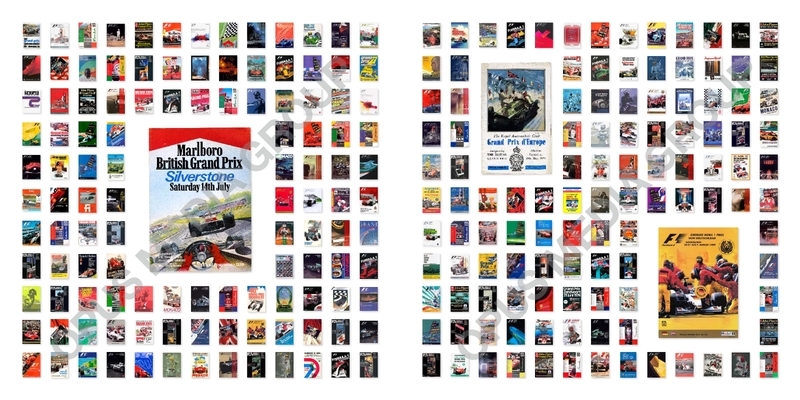 Another site nostalgia freaks should check out is www.progcovers.co.uk which displays the covers of over 2,000 race meeting programs from 300 circuits. There are no anoraks quite like the Poms, so it's little surprise that this site exists. And Australian meetings feature prominently. 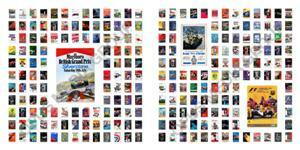 I enjoyed a visit down memory lane viewing most of the Bathurst programs covers. And there were even examples from Amaroo Park meetings from as far back as 1967!